A common question among new off grid and/or cast iron cooks is “How do I season cast iron?” Here is the barbecue grill method I use, and it works really well! Cast iron cookware will last forever if you take care of it. But what happens if an implement is neglected and develops some rust? Or what about that crusty, dirty relic of an unsuccessful camping trip you find at a garage sale? At what point does it become unsalvageable? Here is a quick way to re-season any piece of cast iron. Essentially, all you’re doing is removing all the rust and residue, wiping down all the surfaces with a cast iron conditioner, and baking the item in a hooded barbecue grill. I’ve been using this method for years to periodically re-season and touch up the cast iron that belongs to a local Boy Scout troop. All these camp ovens have been used for several years, sometimes under duress and severe conditions, and they still work to help provide a mouth-watering meal! Obviously, the more abused and rusty the implement is, the more work will be involved to bring it back into service. In some instances, I’ve had to take a particularly cruddy piece to an auto body shop and have it sandblasted. But all this effort is worth it when you end up with a good piece of cast iron that can last indefinitely. 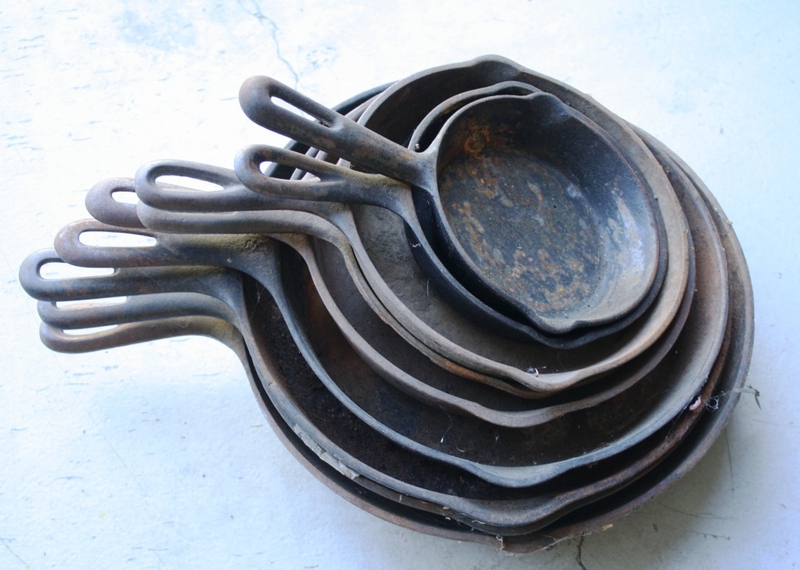 For a more comprehensive look at seasoning cast iron, click on Restoring a Cast Iron Treasure. 2 Comments on "Video: How to season cast iron cooking implements on a barbecue grill"